Marc Knowles’ most recent move to head up KPMG’s ETF consultancy signals that the industry is booming and that businesses right across the ETF industry are positioning themselves for success. 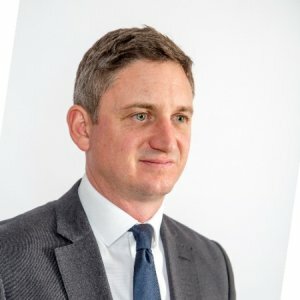 Knowles, after 14 years at iShares and several years at senior positions at Markit and BMO Asset Management, says he is looking forward to offering ETF focused advice to clients with all sorts of opportunities and challenges, whether they be existing ETF issuers tackling regulatory or Brexit-related issues, or asset managers looking to enter the ETF market for the first time. The expert consultant talked to Jobs In ETFs about how US issuers are eyeing up the European market, how to impress at interviews and to not be afraid to reach out to industry experts and ask them to go for a coffee. Jobs In ETFs (JE): Can you tell us a little about your career so far and what you learnt at iShares? Knowles: I was very lucky to join iShares in the early days because no one could foresee the growth of ETFs globally and in Europe, but I was wedded to the concept at an early stage – the transparency and democratic nature of ETFs drew me to the iShares team. Our team consisted of just three in the early days and it was a lot of fun and fortunately, the business grew rapidly. Being there in the early days enabled me to move across various roles. In 2001, I started in product development and management where we structured and launched some of the first ETFs in Europe. In the two years prior to 2008 at iShares, we spent a lot of time identifying risks and deficiencies in a platform that was now supporting a significant scale business. We saw that the “Exchange traded” bit of the ETF was an area an issuer had little control over. So we looked to develop deeper relationships with our authorised participants and market makers, resulting in the build out of the first capital markets team in Europe. Fortunately for us the work we did strengthening the platform and enhancing the capital markets support of our ETFs was well timed and we weathered the financial crisis in 2008 well. From there ETF growth was explosive. Moving across functions over 13 to 14 years has given me the skills and relationships I draw on now in my current role at KPMG, working with entities across the ETF ecosystem such as issuers, banks, market makers, service providers and index providers. My experience enables me to have a pretty good understanding of all the challenges these entities are facing and how we might help. JE: Having launched products at several firms, is the process the same in terms of the steps you have to take and what you have to think about? Knowles: It’s a very similar process, but the difference is the type of products being brought to market. It was pure beta products in the early iShares days, Now, because of the breath of product available and fee compression, new ETF issuers have to be very thoughtful around the type of ETFs they launch and how they differentiate themselves. The complexity of the products is certainly increasing, which means you have to be more thoughtful about the structuring of a product. An ETF wrapper doesn’t suit every type of strategy. You have to ensure there’s capacity and liquidity in the strategy and that new products are delivering real world solutions for investors. We feel that the ETF will be the wrapper of choice for investors and we believe they will overtake mutual funds within the next five to 10 years. Every single asset manager needs to think about ETFs as a possible wrapper for their strategies. Asset managers should be delivering clients solutions combining active and passive and we believe managers will start to deliver some of their existing active strategies in a more systematic, transparent and low cost way in the future within an ETF structure. The time to build out these capabilities is now. 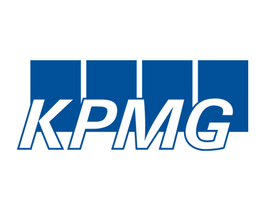 JE: How did you know KPMG was the right role to move to? Knowles: My role at KPMG enables me to work with clients across the ETF ecosystem. All these entities are connected and are reliant on each other for success. It’s really rewarding working with an issuer one day and a service provider the next – you get to experience the relationship from both sides of the table and that can be very insightful. You don’t get that vision and exposure in most roles. It’s also fantastic to be working with my old iShares boss (Tim West – Partner UK Asset Management Consulting), again. Tim was COO at iShares back in the day and together we are looking to build out the team further and differentiate ourselves from other consultancy practices. We are hiring people from the industry with first-hand ETF experience that can add value for our clients right across the ecosystem. JE: What topics did you cover during your session at the Inside ETFs event in Florida? Knowles: We believe that Europe’s growth story provides a significant opportunity for US asset managers and ETF Issuers to expand beyond the US. A number of US asset ETF issuers have recently entered the European ETF market and we expect this trend to continue. We think regulation in Europe is in a fantastic place and provides real tailwinds for growth. MiFID II could be a game changer bringing in an avalanche of retail assets and UCITs is a particularly strong global brand that enables issuers to distribute products across Europe, Asia and Latin America. Traditionally asset managers have had three choices when entering the ETF market – build, acquire or partner. Each of these strategies has different pros and cons, costs and timelines. However, more recently asset managers have come to view ETFs simply as wrappers for their investment strategies as opposed to stand alone businesses. With appropriate training and incremental resourcing, existing platforms and teams can be developed to support a European ETF range. We are working with US managers interested in the European opportunity and helping them develop and implement the best market entry approaches for their ETF business. JE: Do US providers know a lot about the European market already, or are there usually things you have to teach them? Knowles: Europe is a very different market to the US. There are multiple jurisdictions, rules and languages and ETF usage differs by country. We have ETF liquidity fragmented across many stock exchanges, no reg. NMS equivalent and as of now no consolidated tape. There are fundamental differences between the two markets. These differences are sometimes perceived as significant barriers to entry. However, with the correct expertise, we believe these challenges can be quite easily addressed and overcome. JE: What does a candidate have to do at an interview to impress you? Knowles: Energy is the first thing you really notice that differentiates people. You can really sense that across the table – and the lack of it sometimes. It’s very important for people to have done their homework, and show they understand the opportunities and challenges the company faces and be able to articulate how they can add value over the next candidate. Back when I first joined the industry, there were few opportunities as the ETF business was just growing, but an ETF role is no longer limited to an issuer; we have a whole ecosystem looking for talent. If someone ultimately wants to join an issuer, they might have to take a couple of steps to get there. They could work in an in an ETF-related role, at say a service provider, for example, or maybe an index or market data provider and spend a few years doing that. That will give them the experience in the industry and the skills ETF issuers are looking for. JE: What advice would you give to younger candidates working within the wider finance or investment industry who want to learn more about ETFs or even make the switch? Knowles: Those looking to start out in the industry should know that it’s a pretty small, friendly and well-connected place. A lot of people know each other, and are passionate about their work. People I don’t know have reached out to me on LinkedIn and asked for advice or to meet for a coffee. It’s not always possible, but I’ve done it a number of times. I know others in the industry do the same. It’s a good idea to express your interest. You will be surprised by how willing others are to share what they know. At the end of the day the ETF industry is where it is because of great people and a whole load of great people will be needed to support its future growth.